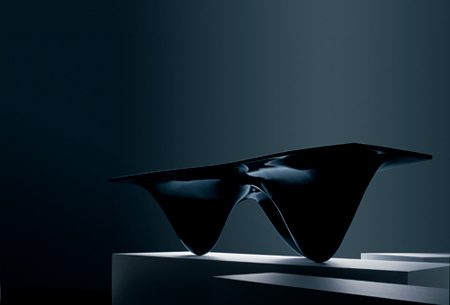 Zaha Hadid ….She is once more, involved with the issue of “conscious inspiration”…. 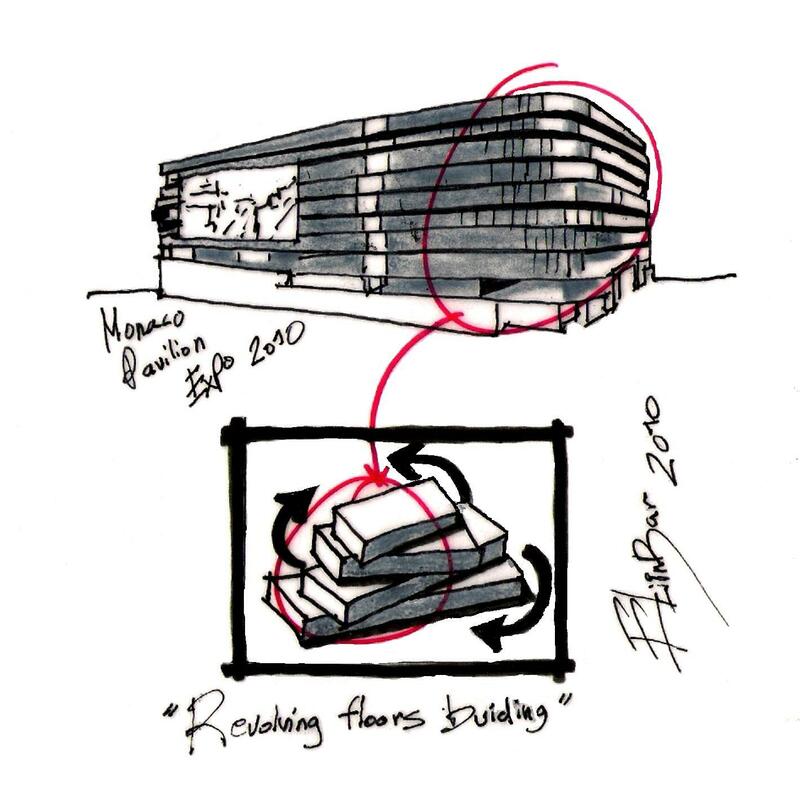 this is a perfect example of “Conscious Inspiration”…. 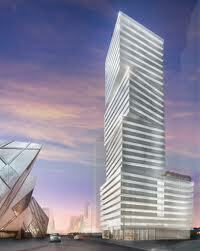 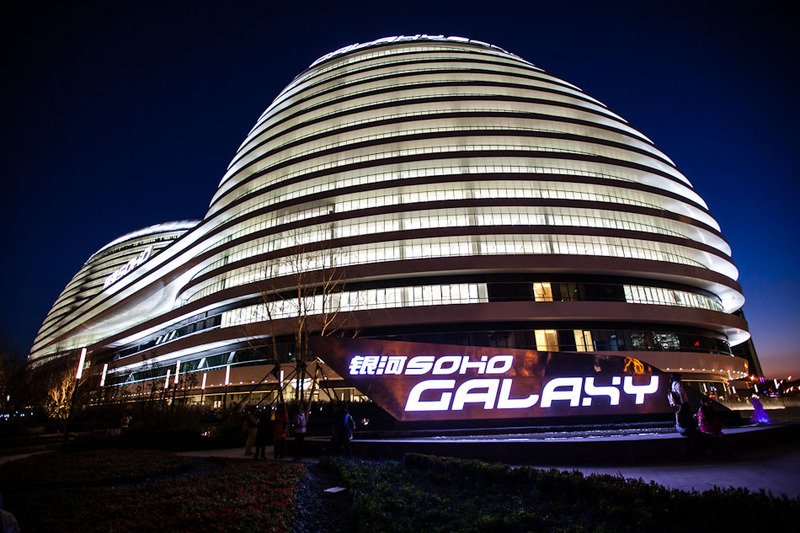 I can think about two sources of inspiration for the Zaha Hadid‘s Galaxy Soho. 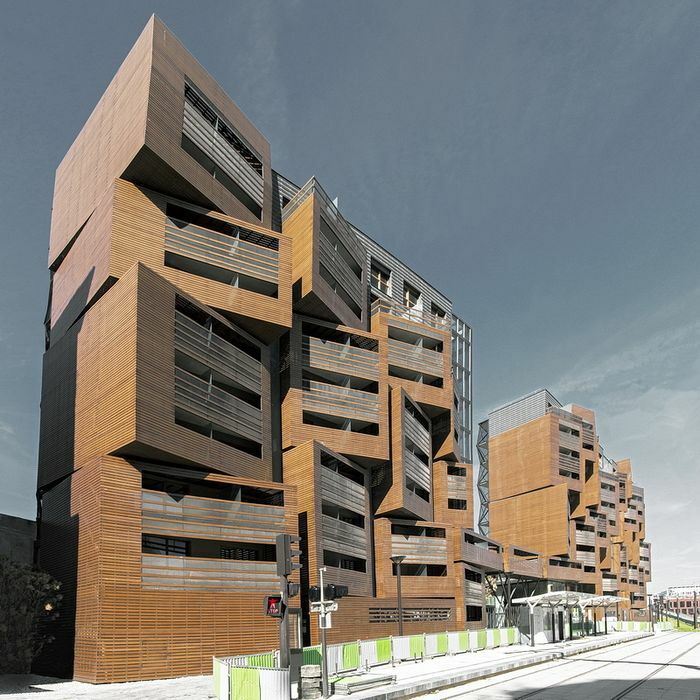 Note the sophistication of this building. 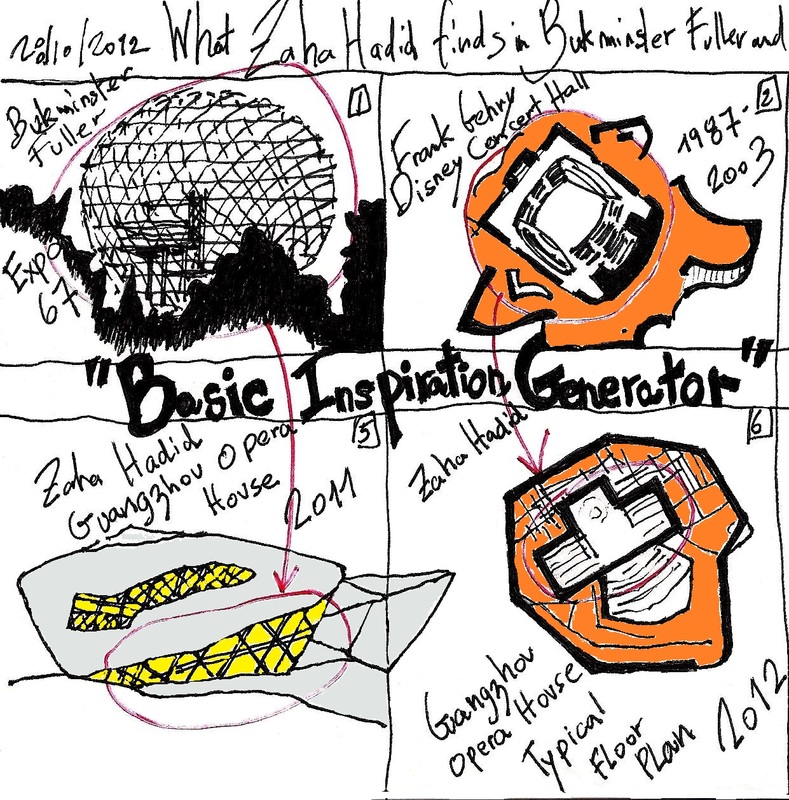 Is this example is more of “Conscious Inspiration” or more of “Copy Paste”? 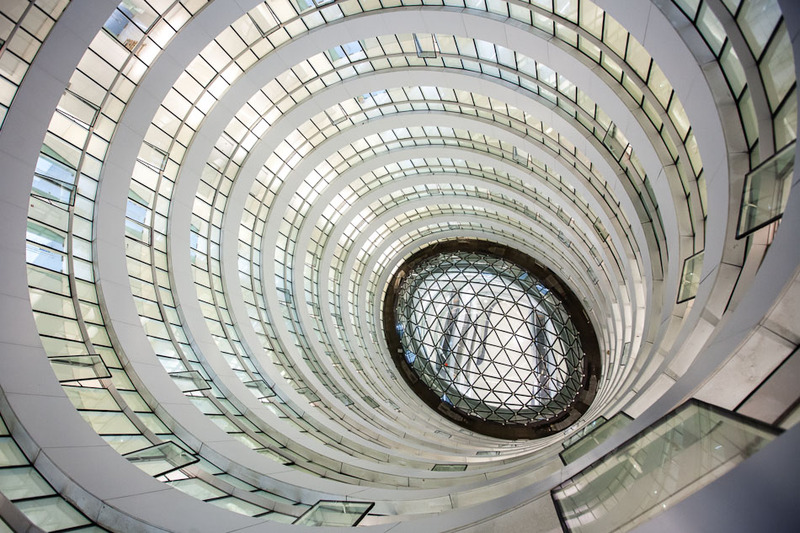 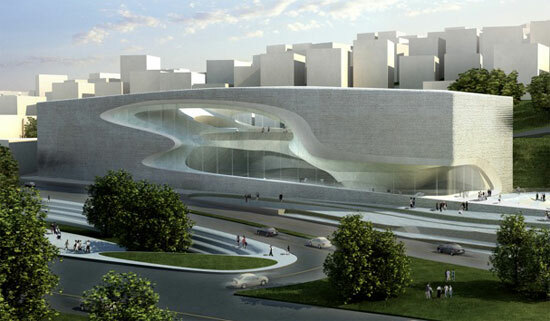 MAD Architects and Zaha Hadid, without words…. 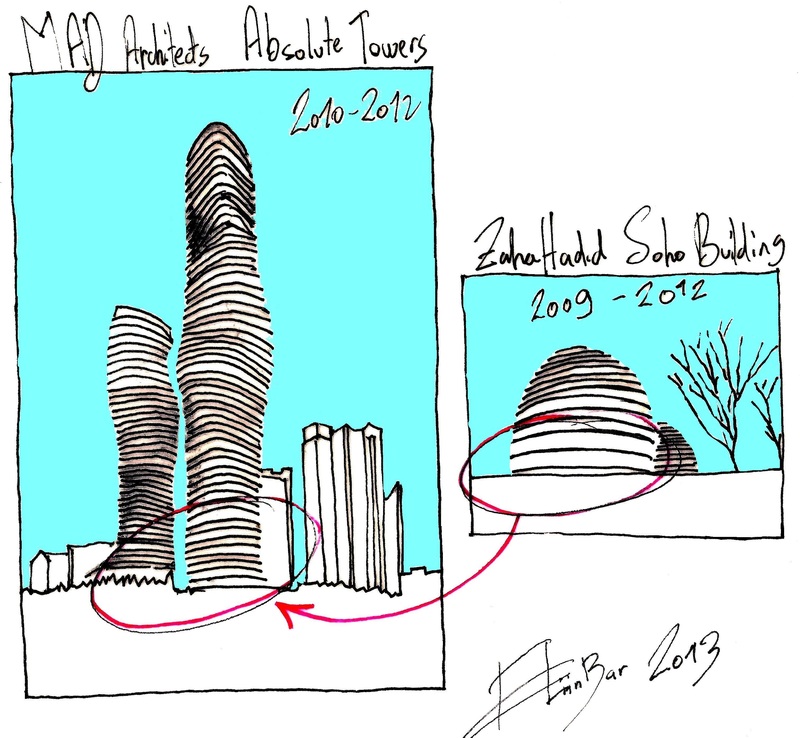 From eliinbar’s Sketchbook 2012– MAD Architects and Zaha Hadid, without words…. 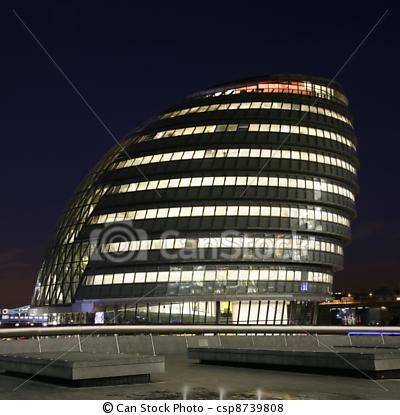 Look at the next images, they speak for themselves…. 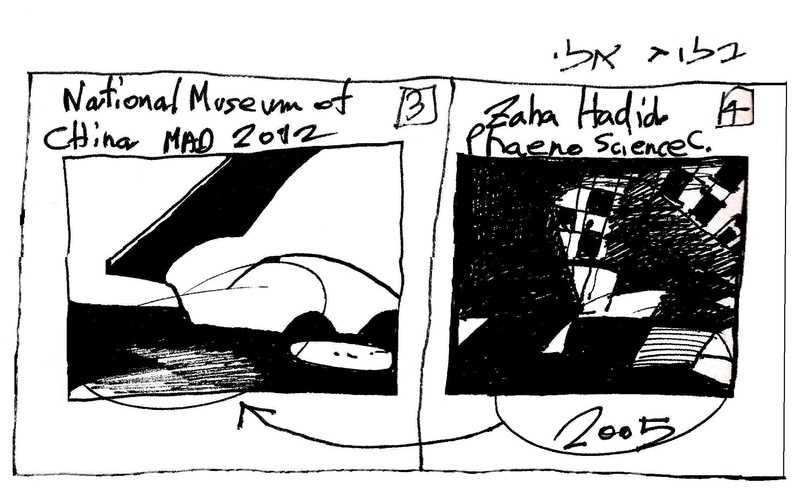 From eliinbar’s Sketchbook 2012– MAD Architects and Zaha Hadid’s Phaeno Science Center without words…. 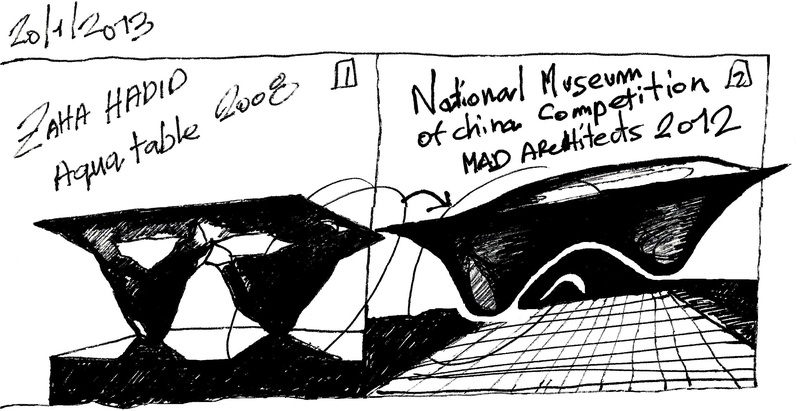 From eliinbar’s Sketchbook 2012 – MAD Architects and Zaha Hadid’s Phaeno Science Center without words…. 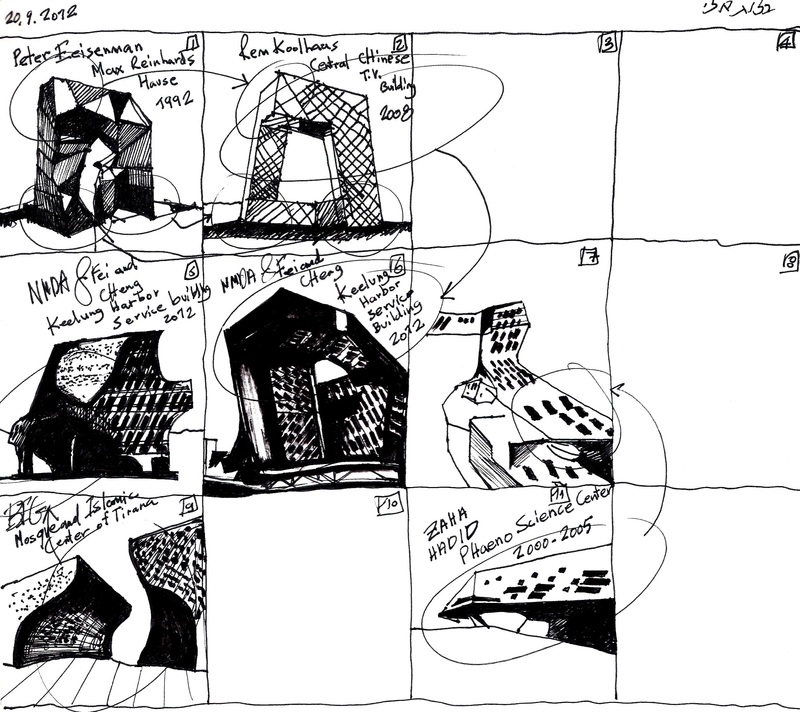 SANAA, Zaha Hadid, Steven Holl and Bjarke Ingels will help us understand how can a sketch be an inspiration-source, for a “design strategy” . 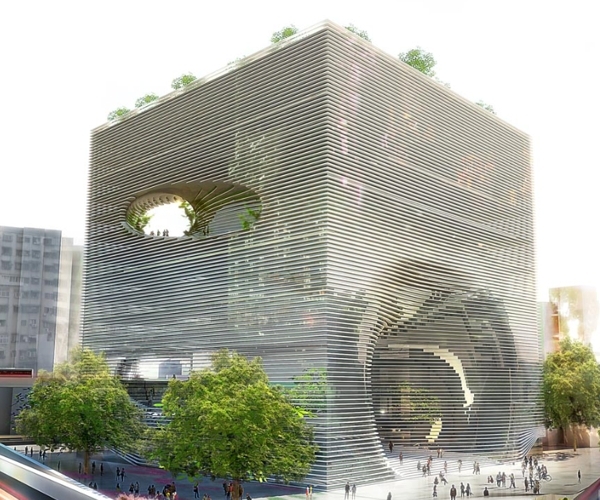 Recently were published in ARCHIDAILY ,two new buildings designed by Steven Holl, the Tianjin Ecocity Ecology and Planning Museums. 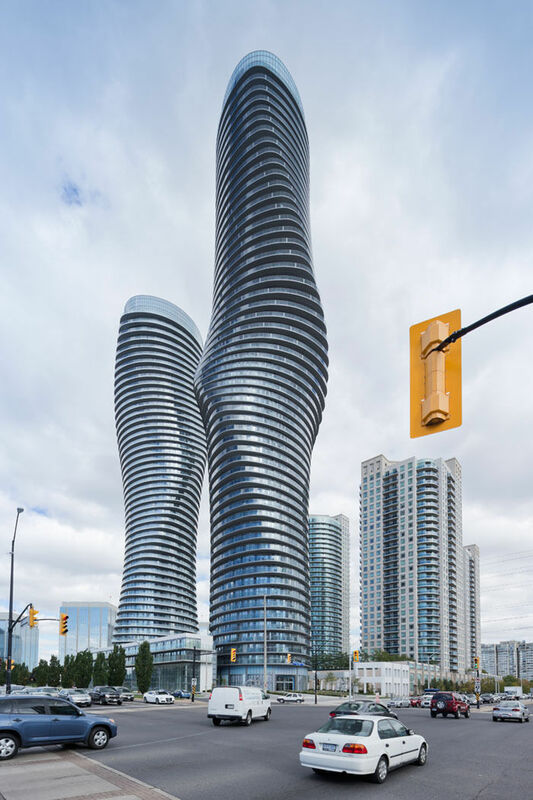 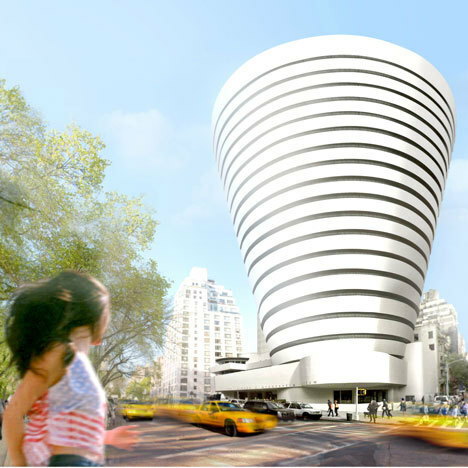 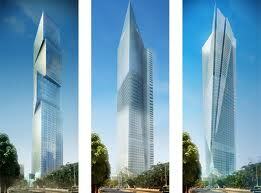 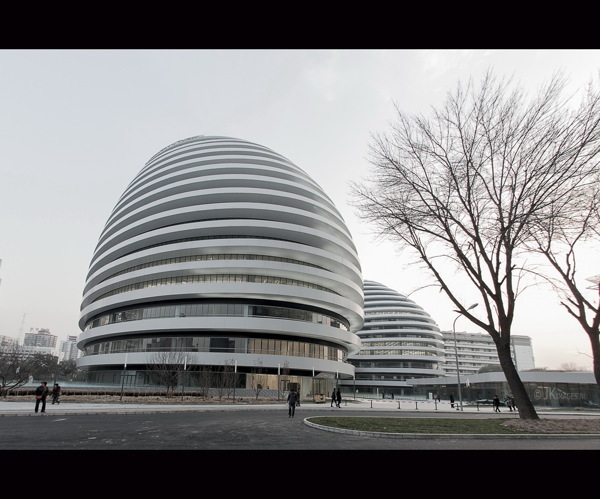 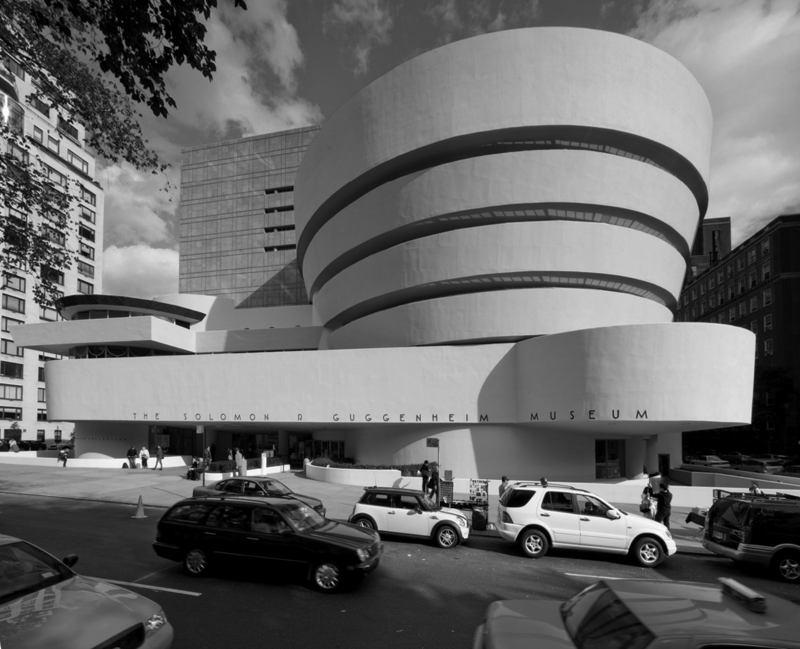 One of those buildings is characterized by a unique morphology …. 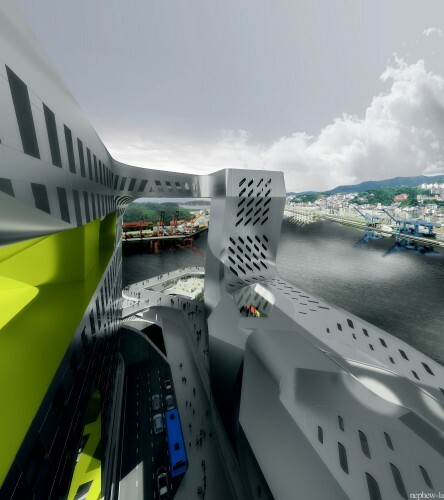 It is called the “Sponge Concept”. 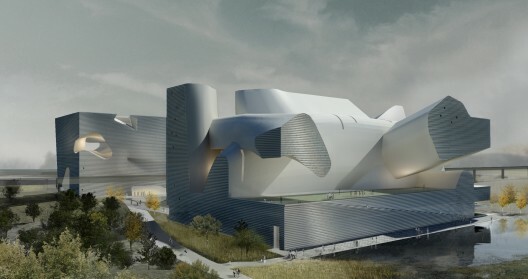 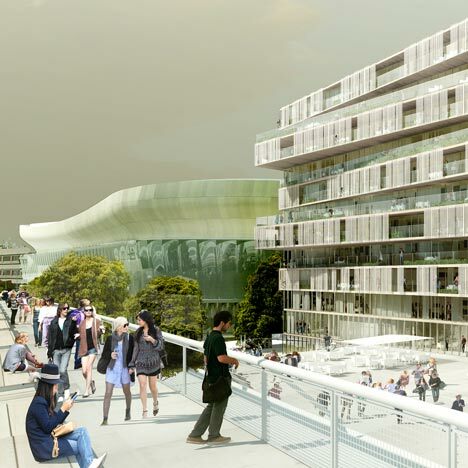 Those are the new Steven Holl’s Ecology and Planning Museums ( 2012) .one of them, was designed according to the “Sponge Concept” . 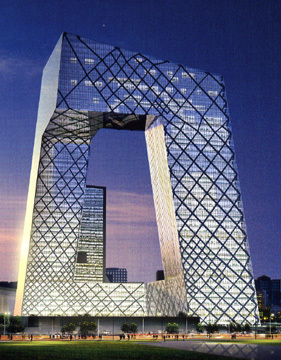 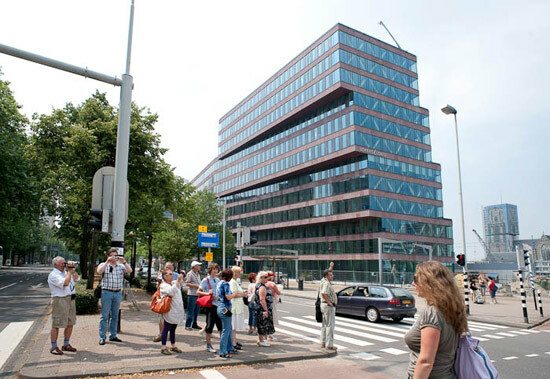 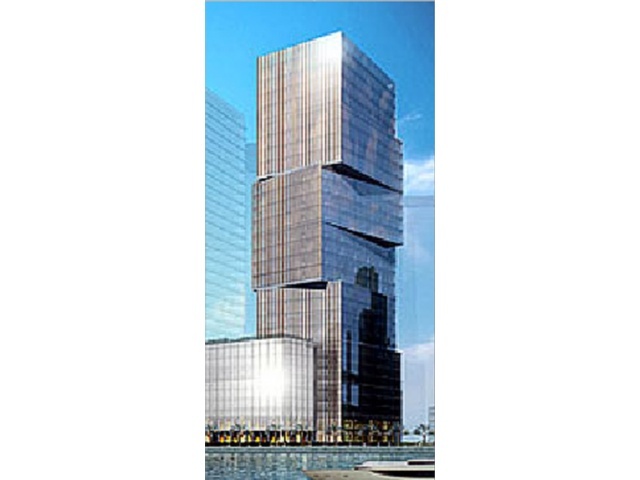 Notice the morphological similarity, both buildings are perforated boxes, characterized by morphology of a sponge, designed according to the “Sponge Concept” – strategy. 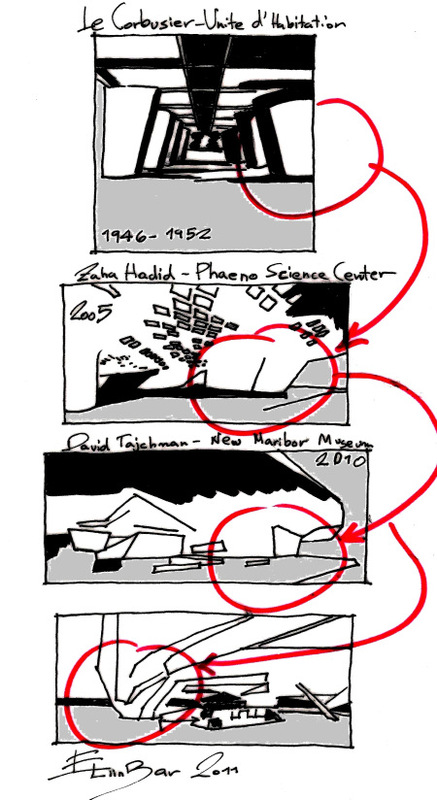 But the previous story, is maybe least interesting …. 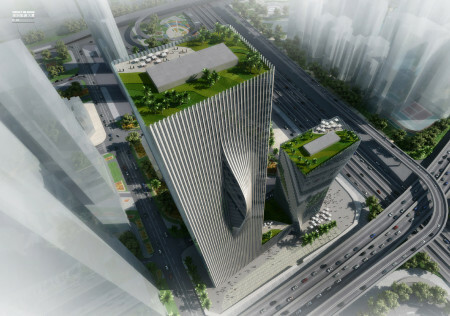 What do you think about this story? 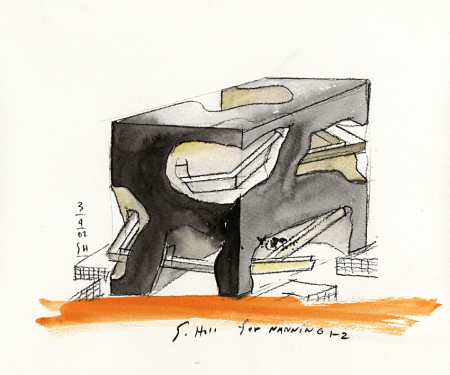 Before the Steven Holl ‘s Tianjin Ecocity Ecology and Planning Museums were built , One can see ,that Steve Holl’s well known sketches are already the source of inspiration for Leading architects. 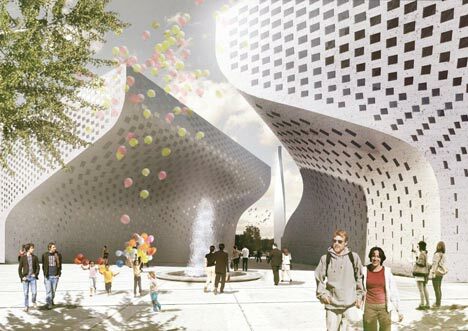 All of the next buildings are perforated boxes, characterized by morphology of a sponge, designed according to the “Sponge Concept” . 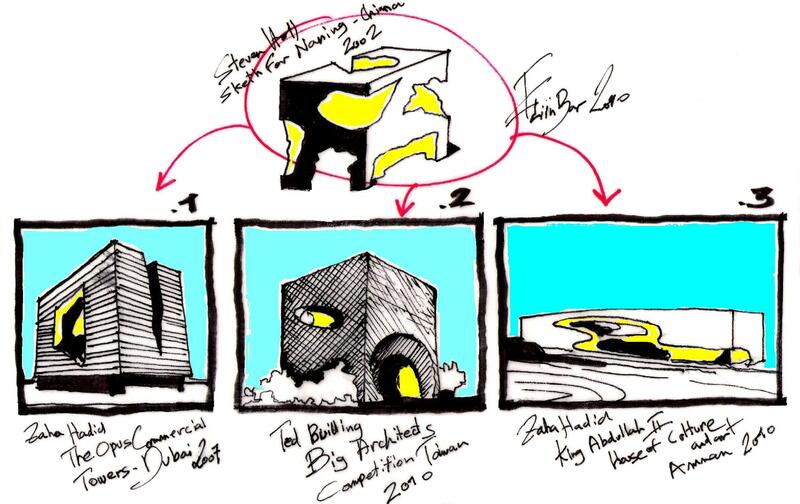 Eliinbar’s sketches 2010 – Steven Holl’s “Sponge Concept’”. 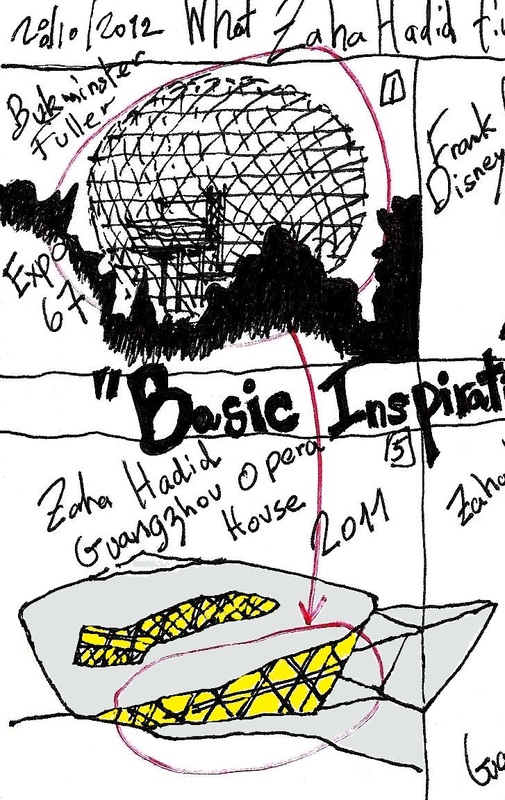 What Zaha Hadid finds in Buckminster Fuller and Frank Gehry…. 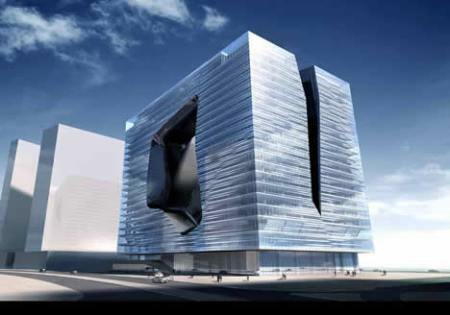 that we do not know? 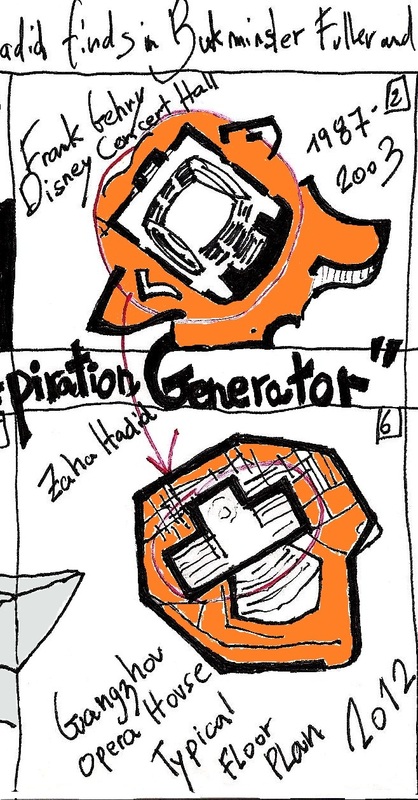 From Eliinbar’s Sketch book 2012 – Zaha Hadid’s ….”basic inspiration generators”…. 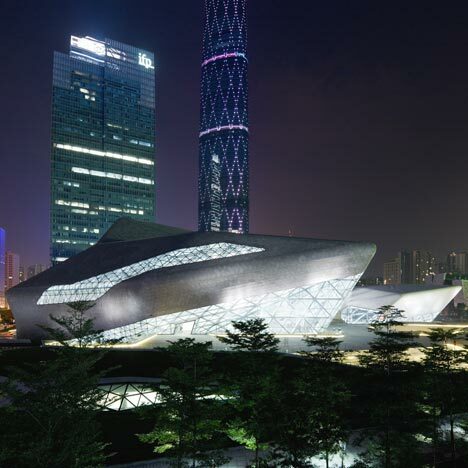 1.“The Guangzhou Opera House design has been particularly influenced by river valleys – and the way in which they are transformed by erosion. 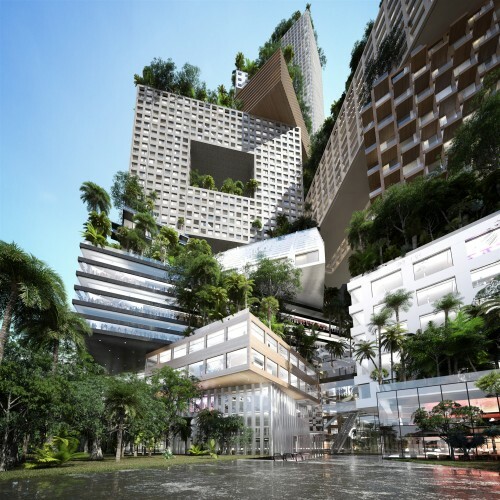 3.“The design evolved from the concepts of a natural landscape and the fascinating interplay between architecture and nature; engaging with the principles of erosion, geology and topography”. 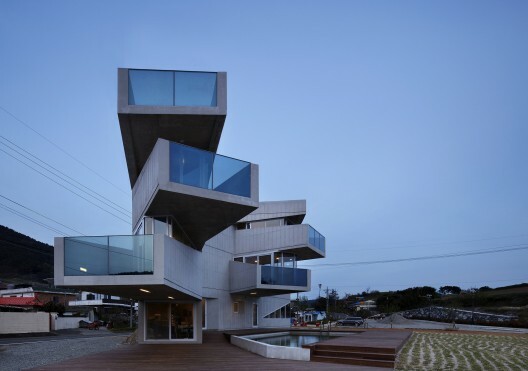 The Inspiration sources published in DEZEEN seem convincing…. 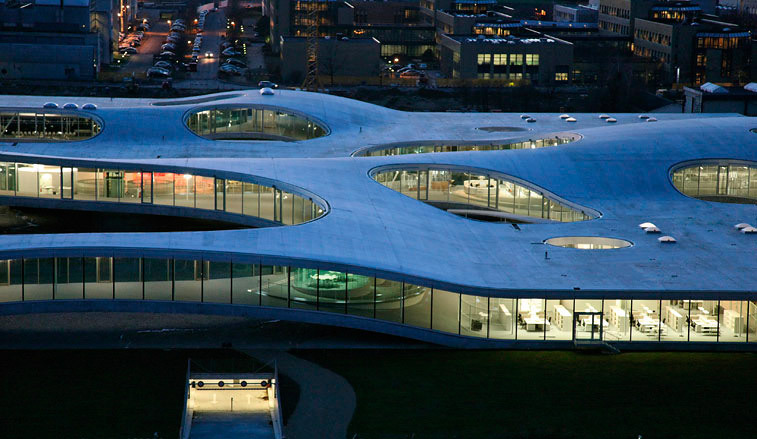 Those are probably Zaha Hadid’s Inspiration Sources…. 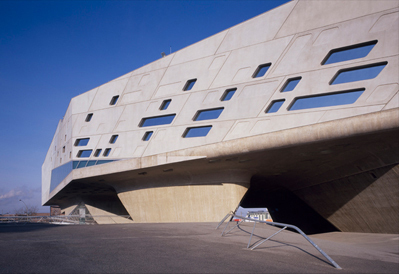 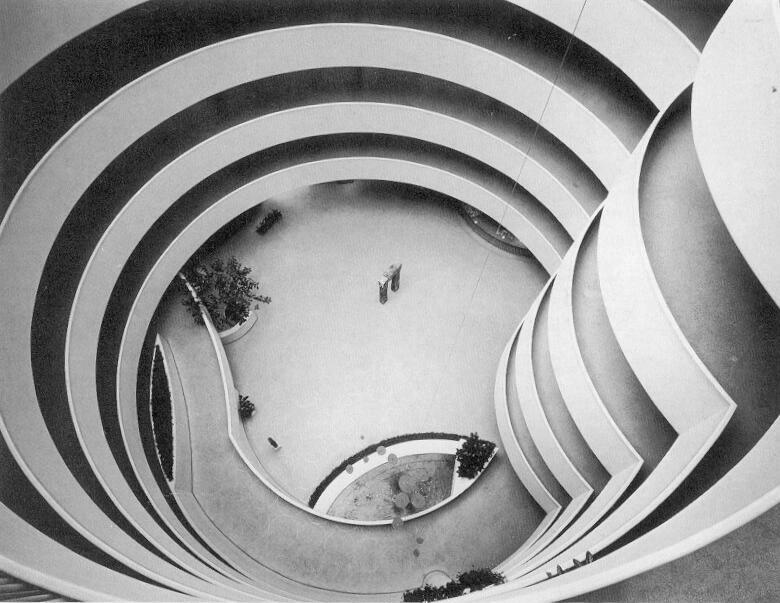 But to design this building, Zaha Hadid had to have other sources of inspiration …. 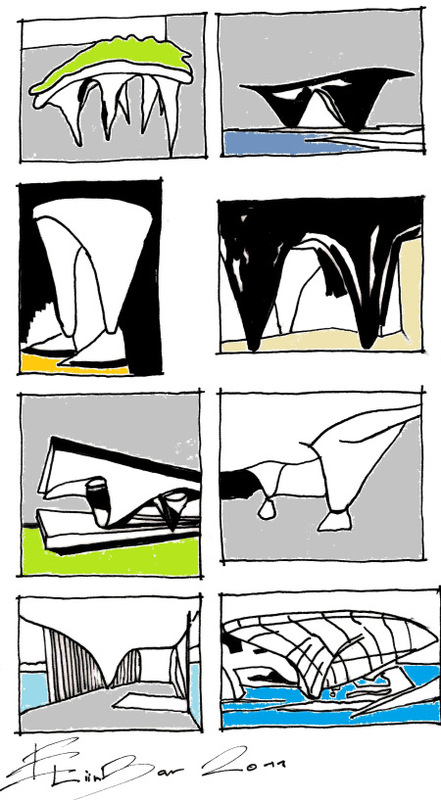 Let’s check what were Zaha Hadid‘s….”basic inspiration generators“…. 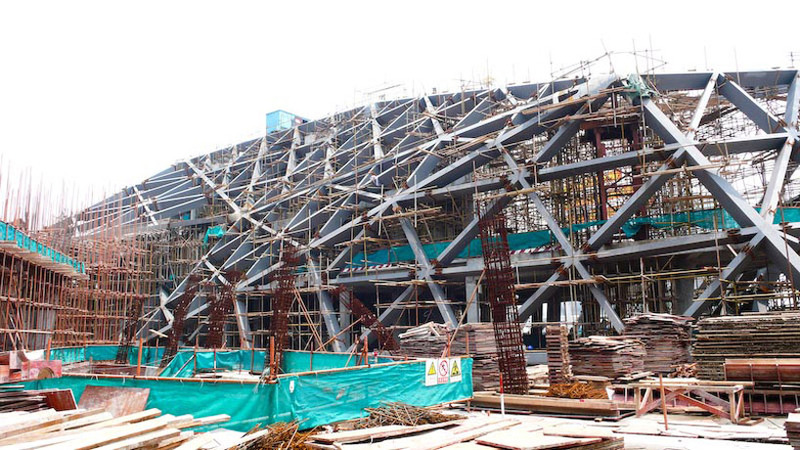 Notice the exterior shell structure envelope of the Opera House. 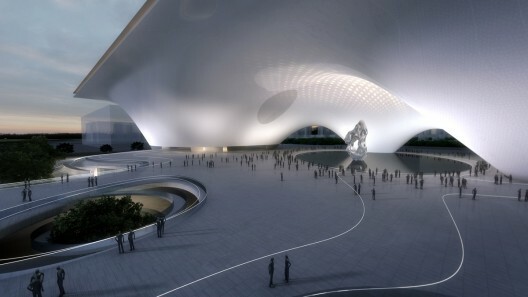 The shell structure wraps a large number of functions. 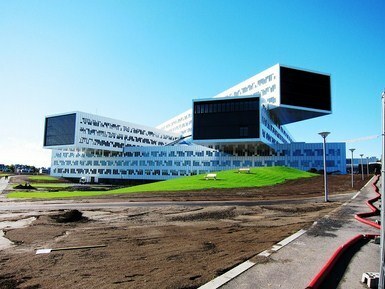 It is also characterized by transparency that allows penetration of natural light. 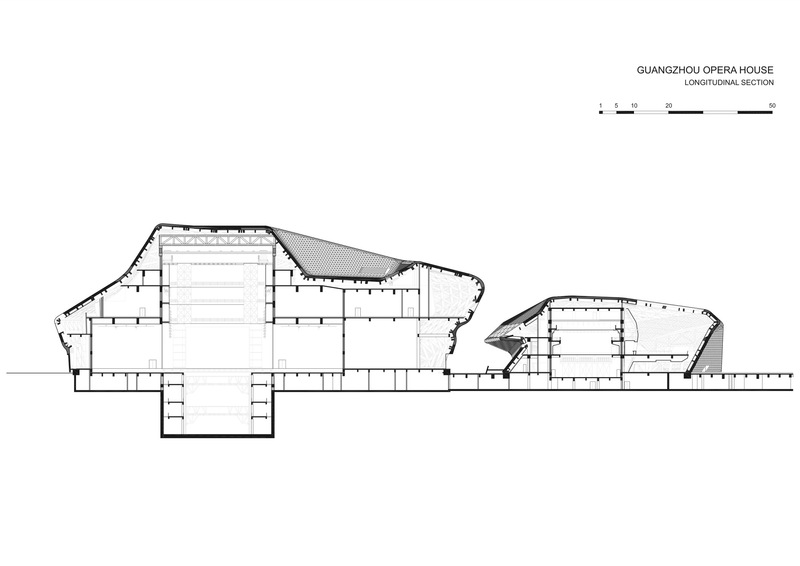 In the next image you can see a typical cross section showing the exterior shell structure envelope of the Opera House wraps a large number of functions. 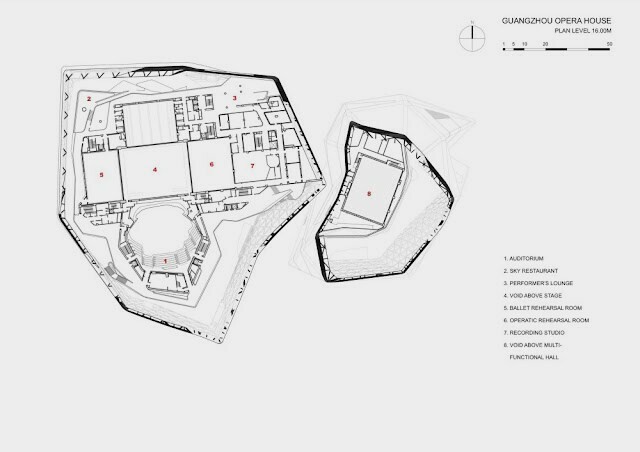 This design strategy has been developed in the 60 by Buckminster Fuller. 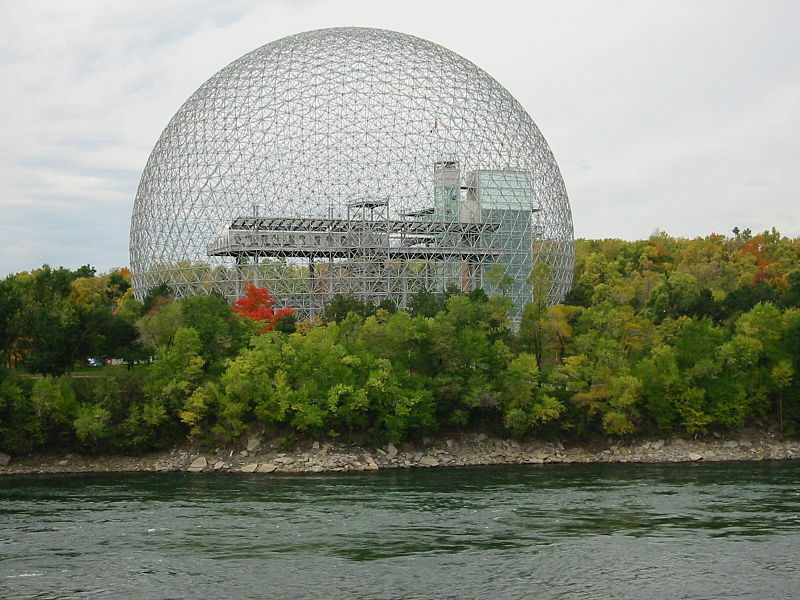 The Montreal Biosphère in Canada Expo 1967, designed by Buckminster Fuller ….shown in the following image ,is a prominent example of this approach…. 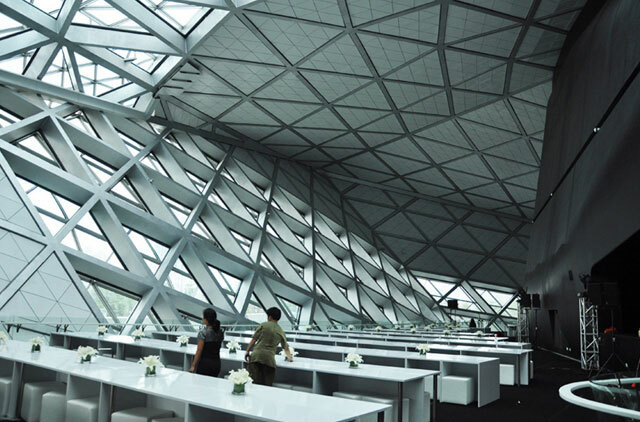 Notice the shell Structure that contains a large number of functions and characterized by transparency that allows penetration of natural light. 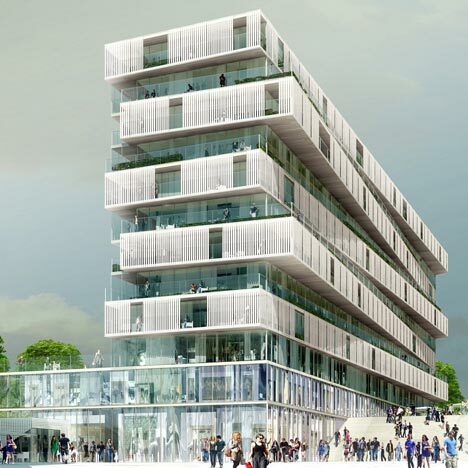 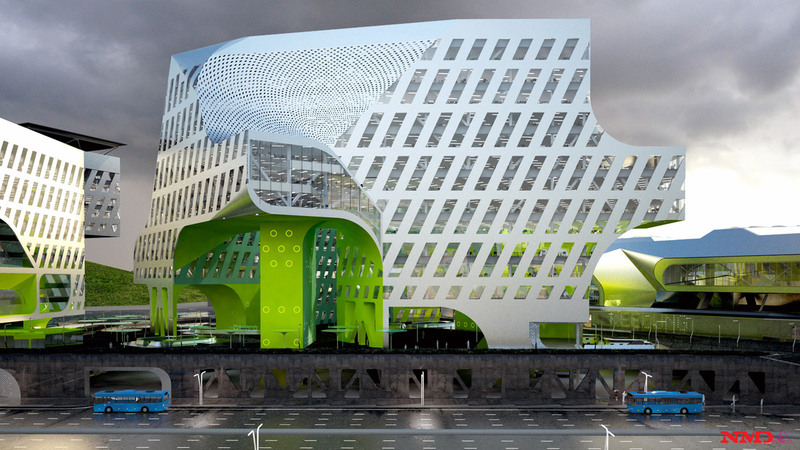 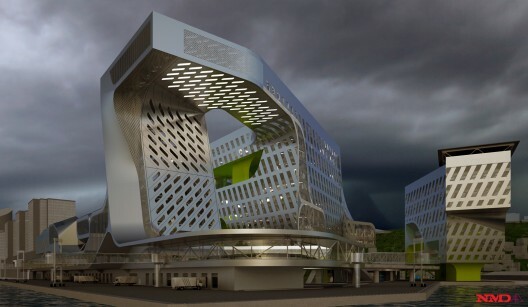 In both buildings, the construction method allows a flexible and transparent shell. 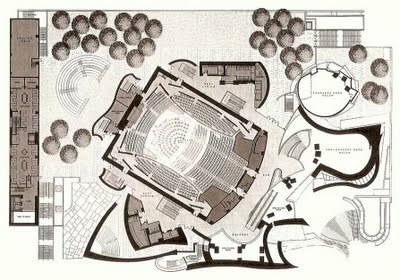 Notice Guangzhou Opera House typical floor plan, shown in the next image. 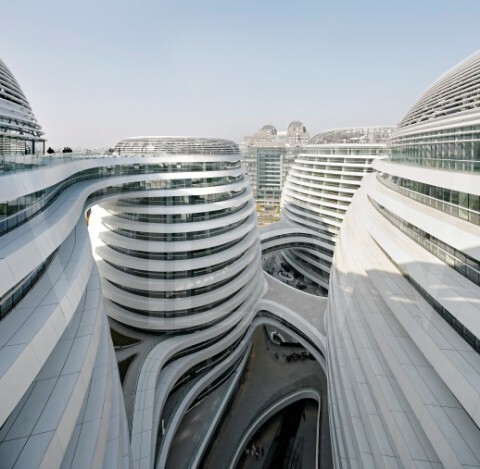 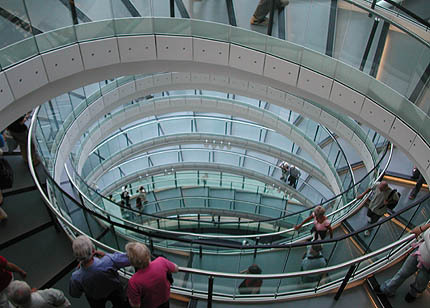 Zaha Hadid designs a building with effective floor plans. 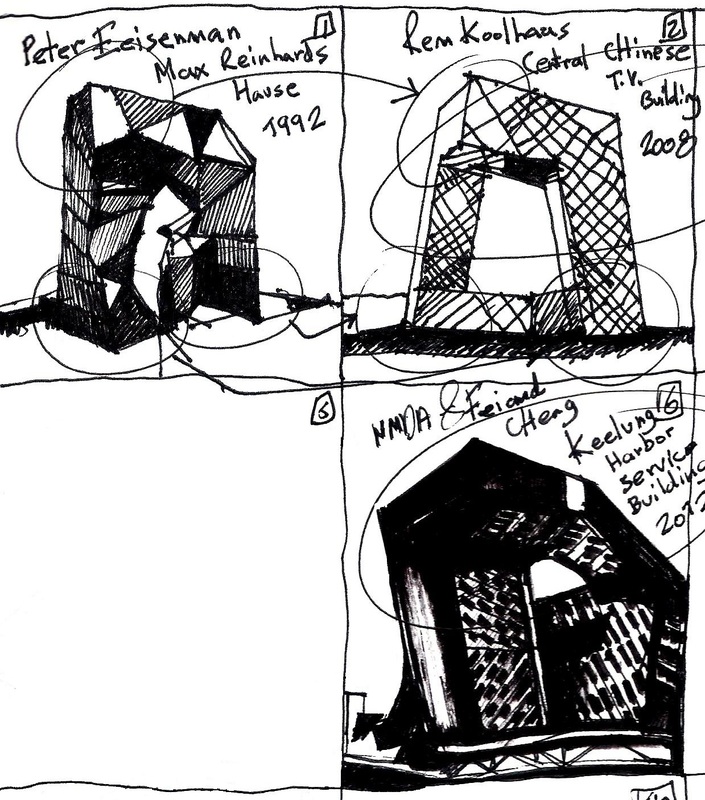 The ”Envelopes Design Strategy”, has been developed in the 80 of the last century by Frank Gehry. 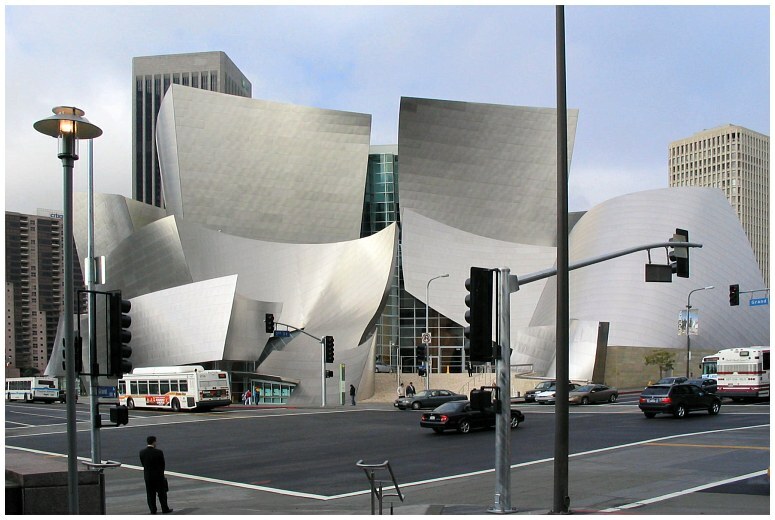 The Disney Concert Hall, designed by Frank Gehry in 1987-2003 ….shown in the following image ,is a prominent example of this approach….